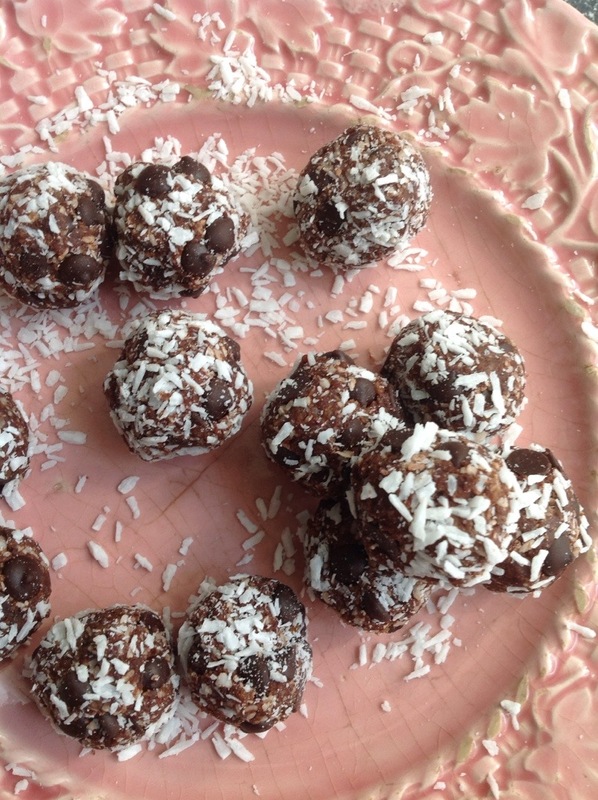 I call these magic because there are only four ingredients, they’re super easy to make, contain no nuts or common allergens and the main reason – because they’re delicious! Add the coconut, dates and cocoa to a food processor and process until ingredients are a coarse sand-like texture. Transfer to a large bowl. Add the chocolate chips and mix together until they’re well incorporated. Form this mixture into small balls by rolling small spoonfuls of the mixture in your hands. Roll the rolled balls in some shredded coconut and serve. Yum! A perfect recipe to make with kids! Absolutely yummy! And sooooo easy. Thanks, NutriSue. Thanks S&S! Glad you liked them. Reblogged this on Susana Molinolo.